I've always known that I wanted to learn another language. Being that we live in Canada other than speaking English, French is the second most common language. I grew up in California, so for us, the second most common language was always Spanish. And although I wanted to learn another language, life got in the way. I got married, moved to another country, had kids and then my kids started school and next thing I know they're learning to speak French and my oldest is quite good at it. So when I had the opportunity to receive a couple language books from DK Canada, I knew I had to make sure I got something that would not only benefit myself, but my kids as well. We received DK's French-English Bilingual Dictionary and DK's 15-Minute French. Both books have been revised and updated and now come with a free audio app that's available on both Apple and Google Store. 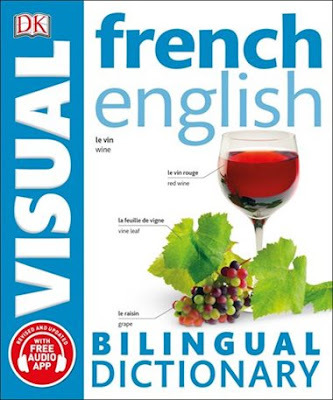 The app enables you to hear words and phrases spoken by native French speakers. Download the app and scan in the book's barcode. Once you've unlocked your book and downloaded the audio files, you can enter any page number to find the word or phrase you're looking for to help improve your pronunciation. The books have been pretty helpful to our entire family. 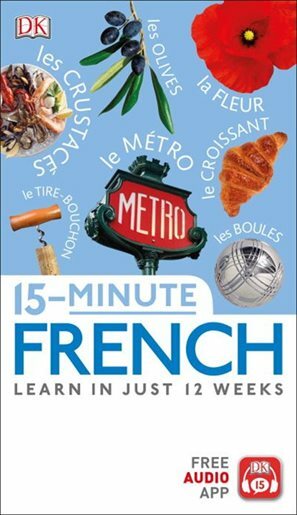 The dictionary has helped my kids when they are doing their french homework or just wanting to look something up in french and the 15-minute french book has been awesome. I've been taking my time each night reading for 15 minutes these last couple of weeks and it's been pretty cool on what I've been able to learn. I'm so excited that I received both books to add to our family library for anyone to read when they feel like brushing up on their French. Both books are available now for purchase. For more informatoin be sure to check out DK Canada online. Disclosure: All opinions are my own. I received the above books at no cost for the purpose of this review. No other compensation was received.